Bring up the topic of seeds and Nabita Goud sits up a little straighter and begins to talk animatedly. Nabita is a smallholder and a “seed guardian” at the Maa Lankeshwari seedbank of Bhimdanga village in Odisha, eastern India. The seedbank is a small room lined with rows of neatly-labelled earthen pots and stoppered glass bottles, all of them filled with varieties of millets, ladies finger (okra), pumpkin, and red gram seeds (lentil), along with cotton. Seeds are at the heart of agriculture, but they are also a significant cost for farmers. Organic seeds are hard to come by in a market flooded with genetically modified and hybrid cotton seeds. More than 90% of cotton in India is genetically modified and input costs for Bt Cotton are high. Hybrid cotton seeds cannot be replanted post-harvest, which in turn forces farmers to add to their financial burden by buying new seeds from the market. Nabita is one of 18 seed guardians who are part of Chetna Organic’s seed conservation project. Over the last two years, six seedbanks have been established in five villages in Odisha with 72 men and women conserving 50 varieties of fibre and food crops seeds. This is a much needed shot in the arm for these districts which are plagued with hunger, poverty and insecurity. “The programme aims to promote women-managed and controlled seed enterprises,” said Arun Ambatipudi, one of the founders of Chetna Organic. Chetna was established 10 years ago to enhance sustainable livelihood options for smallholder families that are dependent on rain-fed agriculture. According to IndiaSpend, 56% of India is dependent on rain-fed agriculture, and farmers are often pushed into an endless cycle of debt because of unpredictable weather, high input costs, poor soil and pest management, and market fluctuations. Traditionally, Odisha is not a cotton growing state but over the last two decades, small and marginal farmers have started growing the cash crop. Conserving organic cotton seeds that are suited to the soil and as a climate adaptation measure is a priority for smallholders. Over the last five years, Chetna has been conducting small-scale trials with farmers like Nabita to evaluate the suitability of indigenous cotton varieties such as Suraj and Anjali. Driving through Odisha, it’s easy to spot the organic from the non-organic farms. The landscape is dotted with stretches of waist-length cotton. In sharp contrast are the organic farms that look like Ceres has run riot, planted with cotton, red gram, and food crops. In a volatile cotton market, the mixed cropping practice that Bhimdanga’s farmers follow ensures individual food security, even if their cotton crop fails. Farmers grow cotton alongside food crops such as pumpkin, ridge gourd, lentils, and millets. Some are for their own consumption, and the rest is sold in the market. Ramprasad Sana, an entomologist and the technical head at Chetna Organic, said that the seedbanks have given 600 families food security. Chetna enables farmers to set up sustainable and multipliable open-source systems to share and store seeds, using traditional knowledge along with new concepts and technology. The enterprise operates like a bank, only with less bureaucracy. A farmer can “withdraw” a kilo of seed and has to repay the loan with one-and-a-half to two kilos of seed after harvest. With the establishment of seedbanks, organic farmers no longer need to buy seeds from the market. This year, 1,594 kilos of seeds were distributed to 603 farmers. 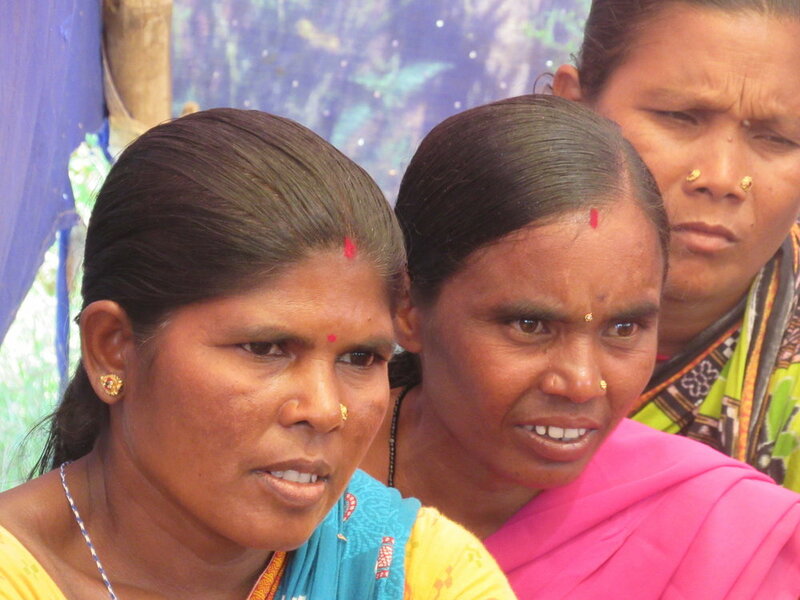 Empowering women farmers to manage their own seed enterprises enables them to become decision-makers in the community. This is significant, given that according to the 2011 census, 68.5% of women work in agriculture. Traditionally, women have been the custodians of seeds and Chetna hopes to revive the practice. Last year, Nabita and her neighbours participated in a seed festival in the neighbouring village of Mading where they met other farmers and showcased their indigenous varieties of seeds. “Everyone loved our kalajira rice there,” said Nabita with a smile. The short-grained kalajira is one of the key scented rices of India (pdf) and gives a high yield in a short timespan. When cooked, the rice has a heady fragrance, earning it the market name of “white baby Basmati”. Rice is a staple agriculture product but in most of India, farmers cultivate high-yield paddy for a homogenous market. The Food and Agriculture Organisation (FAO) estimates that at least 75% of the genetic diversity of agricultural crops had been lost by the beginning of this century. Kalajira rice and indigenous cotton varieties are being conserved by seedbanks like Maa Lankeshwari at a time when indigenous species of food and fibre are rapidly disappearing from farms and plates. With women like Nabita taking back control of their seeds, soil and food security, the smallholders of Bhimdanga are becoming part of a thriving, sustainable community that is conserving India’s indigenous seed heritage and protecting its food sovereignty.